“We were holding banners in Arabic, English, Chaldean and French against the violence that happened in Mosul and (questioning) why the world was in silence against our problems,” Sahar Mansur, a Chaldean Catholic told Catholic News Service. She added that the people in Iraq are not only angry about being driven away from their homes, but also about the international silence at the injustices they are suffering. I’ve read the articles and watched the videos. I’m “aware” of the problem. But, in spite of the various ribbon campaigns and awareness weeks, just knowing something horrific is going on isn’t enough. We need to act. It seems like too little too late, but anything is better than nothing. But what about the Christians who have lived for generations in cities now suddenly occupied by ISIS? 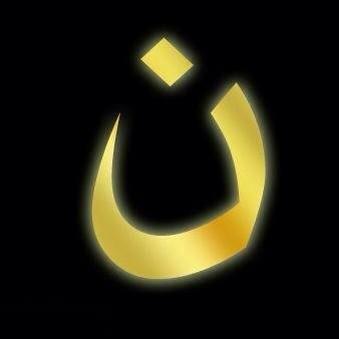 What are we doing to help our brothers and sisters who are being martyred for their faith? And even more importantly, what can I do? With a bit of research, I’ve come up with four practical ways we can act on behalf of the persecuted church in Iraq and Syria. I’ve listed them in order of importance, at least in my opinion. Pray. It’s easy to dismiss prayer as “not doing enough,” but any attempt to help in this situation must start with prayer. We are powerless; God is all-powerful. Who else can change the hearts of the terrorists? Pray for the refugees, those facing death, those who have lost everything. And pray for the Muslims who need to be redeemed with God’s love. Pray for visions and miracles. Pray with others. Consider adding fasting to your praying. Be sure to listen for God’s answers. What else would He have you do? If you want to target your prayers to specific needs, the Iraqi Christian Relief Council website contains a wealth of current and background information. Give. A number of Christian relief organizations are responding to the humanitarian crisis in Iraq by providing shelter, food, clothing, and more to displaced families. I can confidently recommend Samaritan’s Purse and Voice of the Martyrs. Two more, Open Doors and Christian Aid, are well-known British organizations that are also on the ground in Iraq (but I’m not sure how donating in U.S. dollars works). Write a letter; sign a petition. Let our government leaders know that this is important to you, and that you want them to commit U.S. resources. Many people complain, but only a small minority takes the time to write. Our elected officials know this, which is why every letter matters to them. Write to your senators, representatives, and President Obama. If you’re looking for a petition to sign, I signed this one. Here’s another good one. It’s encouraging to see that around the world people are supporting us. We are still proud to be Christians. We will always be Christians. Now that you have some ways to take action, get busy. This entry was posted in Faith & God, World and tagged Christians, donation, genocide, give, help, Iraq, ISIS, persecution, petition, pray. Bookmark the permalink. It’s possible that some of the news we get about ISIS is doctored. But the horror of it is still very real. So in addition to praying for God to step in and stop the madness, and to send more Damascus-like revelations to the persecutors, I’m also asking God to keep the media honest so that the reports we do receive are factual and people don’t turn cynical. Thank you for the links. Very helpful.